British music had a record year in 2017, contributing £4.5 billion (Australian $8 billion) to the UK economy, according to the Measuring Music 2018 report by trade association UK Music. 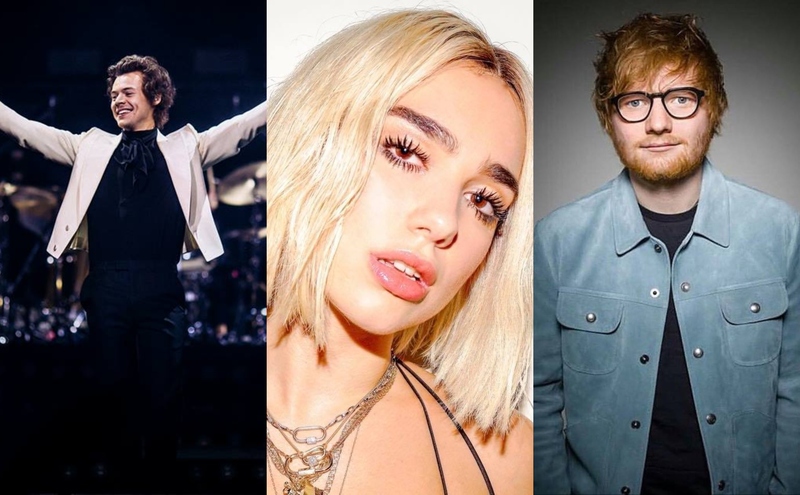 This was £100 million ($171.9 million) upon 2016 (representing a growth of 2%), and Ed Sheeran, Harry Styles, Dua Lipa, Stormzy, Rag’n’Bone Man and Sam Smith were among those responsible. The annual economic report covered all sectors, and British music was firing on all cylinders, it seemed. Export revenues grew by 7% to a new high of £2.6 billion ($4.6 billion). These were broken down to recorded music (£468 million or $841.9 million), up 11%), music publishing (£719 million or $1.29 billion), up 11%) and music representatives including collecting societies, music managers and music trade bodies (£348 million or $626 million, up 9%). Five of the world’s most successful tours were by Brits – Sheeran, Coldplay, The Rolling Stones, Sir Paul McCartney and Depeche Mode. These, along with festivals and other live music events accounted for £991 million ($1.78 billion) to the UK economy last year. The 02 in London was the world’s most popular arena, according to Measuring Music. Recorded music saw a rise of 9% to £700 million ($1.25 billion), while music publishing grew by 7% to £505 million ($908.2 million) in 2017. The biggest selling album of the year was Sheeran’s ÷ (Divide), with singles including ‘Shape of You’ and ‘Perfect’. UK record sales also soared 9% to £700 million ($1.25 billion). These had slumped to 610 million ($1 billion) in 2015. Dua Lipa was Spotify’s most-streamed female artist of 2017 – beating the likes of Beyonce and Taylor Swift. Employment in the British music industry was at an all-time high, almost reaching 145,815 and representing a 3% rise. Although buoyed by the figures, UK Music’s chief executive Michael Dugher remained guarded about preparing for the future. “These figures show what can be achieved when we choose to back the British music industry,” Dugher said. “That’s why we need further government support to help us ensure we produce the next generation of world-leading British talent by backing music in education, protecting grassroots music venues and making sure that creators are properly rewarded for their work.